I was on my way through downtown Estes on my way into Rocky Mountain National Park. The clouds were dark and thick and the snow had just begun falling heavily. 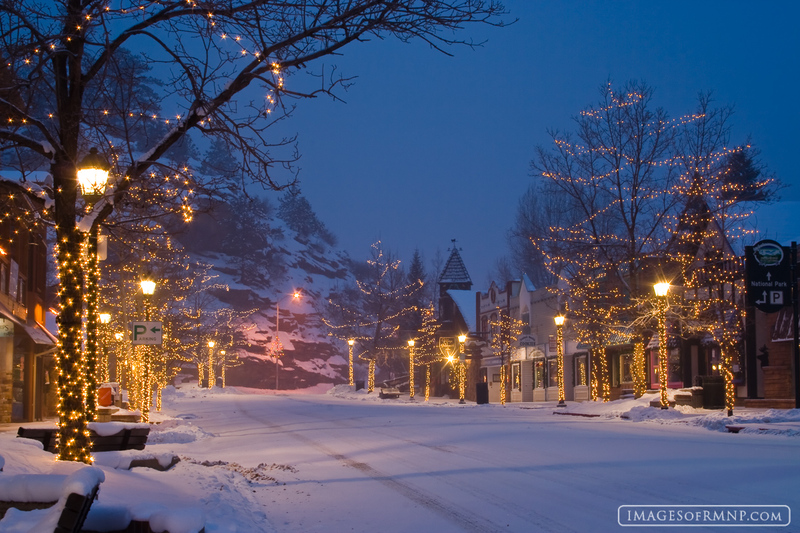 As it was still before dawn, there were few cars out, providing a chance to enjoy this dreamy winter scene as Estes Park glows with Christmas lights. Photo © copyright by Erik Stensland.